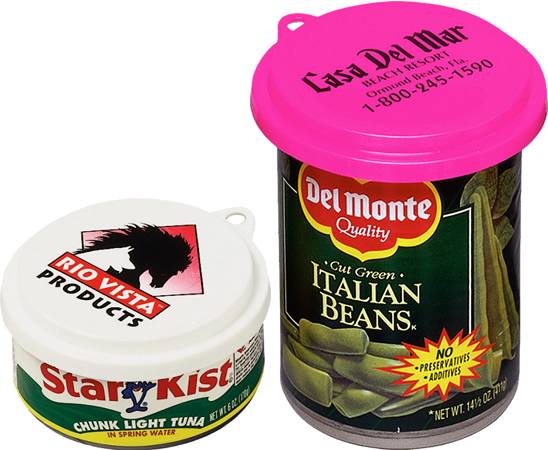 You may elect to use this can lid for a pet can food related promotion item. This can lid with a 3 step design fits most food cans from 3 oz. to large family size cans.